The 2017-18 Oregon high school basketball season is less than two weeks old, but that's not slowing Pamplin Media Group down. We're hitting the ground running in the early stages of the winter season, scheduled to cover 13 different games on Friday night. Central Catholic at Tigard, 7 p.m.
Forest Grove at McMinnville, 5:45 p.m.
South Eugene at Jesuit, 7 p.m.
Redmond at Madras, 7 p.m.
Elmira at Estacada, 7 p.m.
Eddyville Charter at C.S. Lewis Academy, 5:30 p.m.
Forest Grove at McMinnville, 7:15 p.m.
Roosevelt at Lakeridge, 7 p.m.
North Eugene at Tualatin, 7 p.m.
Barlow at Wilsonville, 7:15 p.m.
Bend at St. Helens, 7:15 p.m.
Elmira at Estacada, 5:30 p.m.
Scappoose at North Marion, 7 p.m.
Sprague at South Salem, 5:45 p.m.
North Salem at McKay, 5:45 p.m.
West Albany at McNary, 5:45 p.m.
Lake Oswego at Windward, California, 5:30 p.m.
Corvallis at Roseburg, 6:45 p.m.
Canby at Reynolds, 7 p.m.
Aloha at Silverton, 7 p.m.
Wilson at David Douglas, 7 p.m.
Benson at North Eugene, 7 p.m.
Newberg at Centennial, 7 p.m.
Sheldon at Thurston, 7 p.m.
Sherwood at Southridge, 7:15 p.m.
Willamette at Lincoln, 7:15 p.m.
Madison at Glencoe, 7:15 p.m.
Gresham at Putnam, 7:15 p.m.
South Eugene at Jesuit, 7:15 p.m.
Clackamas at Grant, 7:15 p.m.
North Medford at Parkrose, 7:15 p.m.
Tualatin at Barlow, 7:30 p.m.
Liberty at Crater, 8 p.m.
Cleveland at Westview, 6 p.m.
Century at Oregon City, 7:30 p.m.
Milwaukie at Crescent Valley, 7 p.m.
Walla Walla, Washington, at Pendleton, 7 p.m.
St. Helens at Bend, 7 p.m.
Churchill at Dallas, 7 p.m.
Hillsboro at Mountain View, 7 p.m. The Dalles at Sisters, 7 p.m.
Marist Catholic at La Salle Prep, 7:15 p.m.
Chiawana, Washington, at Hermiston, 7:30 p.m.
Del Norte, California, at Ridgeview, 2 p.m.
Mazama at South Albany, 5 p.m.
Scappoose at North Marion, 5:30 p.m.
Cottage Grove at Cascade, 5:30 p.m.
Phoenix at Sweet Home, 5:45 p.m.
Payette, Idaho, at Ontario, 6:30 p.m.
Astoria at R.A. Long, Washington, 7 p.m.
North Bend at Newport, 7 p.m.
Corbett at Seaside, 7:30 p.m.
Yamhill-Carlton at Oregon Episcopal, 7:30 p.m.
Brookings-Harbor at North Valley, 7:30 p.m.
McLoughlin at Heppner, 7:30 p.m. Pleasant Hill at Baker, 4:15 p.m.
Colton at Junction City, 5:45 p.m.
Siuslaw at Harrisburg, 5:45 p.m.
Etna, California, at Klamath Union, 1 p.m.
Open Door Christian Acad. at Warrenton, 6 p.m.
Vale at Melba, Idaho, 6 p.m.
Australia at Clatskanie, 7 p.m.
Nyssa at Dayton, 7 p.m.
Creswell at Santiam Christian, 7:30 p.m.
Gervais at Sheridan/Sheridan Japanese Char., 7:30 p.m.
Illinois Valley at Oakland, 7:30 p.m.
Regis at Blanchet Catholic, 7:30 p.m.
Willamina at Nestucca, 7:30 p.m. Horizon Christian at De La Salle North Catholic, 5 p.m.
Cascade Christian at TBD, 5 p.m. Horizon Christian at TBD, 7 p.m.
TBD at Westside Christian, 7 p.m.
Catlin Gabel at TBD, 8 p.m.
TBD at Umatilla, 7 p.m.
TBD at Riverside, 7 p.m.
Yoncalla at Glide, 4:30 p.m.
La Pine [JV] at Gilchrist, 7:30 p.m.
Imbler at Irrigon, 4:30 p.m.
Weston-McEwen at Salem Acad., 7:30 p.m.
Scio at Neah-Kah-Nie, 4:30 p.m.
Chemawa at Riverdale, 7:30 p.m.
Culver at Lakeview, 5 p.m.
Burns at Lost River, 8 p.m.
Reedsport at St. Mary's, 4:45 p.m. Rogue River at Coquille, 8 p.m.
Lowell at Central Linn, 7 p.m.
Gold Beach at Umpqua Valley Christian/Melrose Christian, 7 p.m.
East Linn Christian Acad. at Oakridge, 7:30 p.m.
Trout Lake High School, Washington, at City Christian, 7:30 p.m. Pilot Rock at Stanfield, 3:30 p.m.
Triad at Riddle, 7:30 p.m.
Pine Eagle at Elgin, 4:30 p.m.
Griswold at Enterprise, 7:30 p.m.
Monroe at Kennedy, 4:30 p.m.
Paisley at Bonanza, 3:30 p.m.
TBD at Canyonville Christian Acad., 7 p.m.
St. Paul at New Hope Christian, 4:30 p.m.
TBD at Reedsport, 7 p.m.
Eddyville Char. at C.S. Lewis Acad., 5:30 p.m.
Cove at Adrian, 6:30 p.m.
Willamette Valley Christian at Siletz Valley, 7 p.m. Prospect Char. at Camas Valley, 7 p.m.
Damascus Christian at Dufur, 7:30 p.m.
Ione at Prairie City, 4:30 p.m.
North Clackamas Christian at Condon/Wheeler, 7:30 p.m.
Crosshill Christian at Days Creek, 4:30 p.m.
Hosanna Christian at Country Christian, 7:30 p.m.
Yoncalla at TBD, 4:30 p.m.
North Douglas at Mohawk, 4:30 p.m.
Triangle Lake at Elkton, 7:30 p.m.
TBD at Pine Eagle, 7 p.m.
Mitchell/Spray at North Lake, 6:30 p.m.
Jordan Valley at Joseph, 4:30 p.m.
Crane at Nixyaawii, 7:30 p.m. Powers at Chiloquin, 4:30 p.m.
South Wasco County at Pacific, 7:30 p.m.
TBD at Huntington, 4:30 p.m.
Monument/Dayville at Wallowa, 7:30 p.m.
Jewell at Southwest Christian, 7:30 p.m.
North Salem at McKay, 7:15 p.m.
West Albany at McNary, 7:15 p.m.
Reynolds at Aloha, 7:15 p.m. Grants Pass at Spanish Springs, Nevada, 6 p.m.
West Salem at Canby, 6:45 p.m.
Westview at West Linn, 6:45 p.m.
Franklin at Sherwood, 7 p.m.
Roseburg at Corvallis, 7 p.m.
Beaverton at Gresham, 7 p.m.
Grant at Newberg, 7 p.m.
Jesuit at Central Catholic, 7 p.m.
Glencoe at The Dalles, 7 p.m.
Putnam at Madison, 7:15 p.m.
Lake Oswego at Cleveland, 7:15 p.m.
Silverton at Liberty, 7:15 p.m.
David Douglas at Jefferson, 7:15 p.m.
Centennial at Sunset, 7:15 p.m.
Thurston at Century, 7:15 p.m.
Lebanon at Wilson, 7:15 p.m.
Tigard at Clackamas, 7:30 p.m.
St. Mary's Acad. at South Medford, 7 p.m.
Lincoln at Sheldon, 8 p.m.
Davis, California, vs. North Medford, 7:30 p.m.
Chiawana, Washington, at Hermiston, 5:45 p.m.
Astoria at Central, 6 p.m.
Ashland at Hidden Valley, 7 p.m.
Pendleton at Walla Walla, Washington, 7 p.m.
Gladstone at Sandy, 7 p.m.
Redmond at Hood River Valley, 7 p.m.
La Salle Prep at Marist Catholic, 7 p.m.
Mountain View at Hillsboro, 7:15 p.m.
Crescent Valley at Milwaukie, 7:15 p.m.
South Albany at Henley, 3:30 p.m.
Ridgeview at Crater, 6:15 p.m.
Eagle Point at Philomath, 7:30 p.m.
North Bend at Newport, 5:30 p.m.
South Umpqua at Douglas, 5:30 p.m.
Seaside at Corbett, 6 p.m.
Sisters at Yamhill-Carlton, 6 p.m.
Brookings-Harbor at North Valley, 6 p.m.
Ontario at Payette, Idaho, 6:30 p.m.
Homedale, Idaho, at Baker, 7 p.m.
Cottage Grove at Cascade, 7 p.m.
Phoenix at Sweet Home, 7:15 p.m.
Central Christian at Klamath Union [JV], 3 p.m.
McLoughlin at Heppner, 6 p.m.
Siuslaw at Harrisburg, 7:15 p.m.
Colton at Junction City, 7:15 p.m.
Gervais at Sheridan/Sheridan Japanese Char., 6 p.m.
Illinois Valley at Oakland, 6 p.m.
Regis at Blanchet Catholic, 6 p.m.
Creswell at Santiam Christian, 6 p.m.
Willamina at Nestucca, 6 p.m.
Cascade Christian at TBD, 3:30 p.m.
TBD at Westside Christian, 6 p.m.
Catlin Gabel at TBD, 6:30 p.m.
Glide at Yoncalla, 3 p.m.
La Pine [JV] at Gilchrist, 6 p.m.
Imbler at Irrigon, 3 p.m.
La Pine [JV2] at Paisley, 2 p.m.
Scio at Neah-Kah-Nie, 3 p.m.
Chemawa at Riverdale, 6 p.m.
Culver at Lakeview, 3:30 p.m.
Burns at Lost River, 6:30 p.m.
Riverside at Stanfield, 2 p.m.
Reedsport at St. Mary's, 3 p.m. 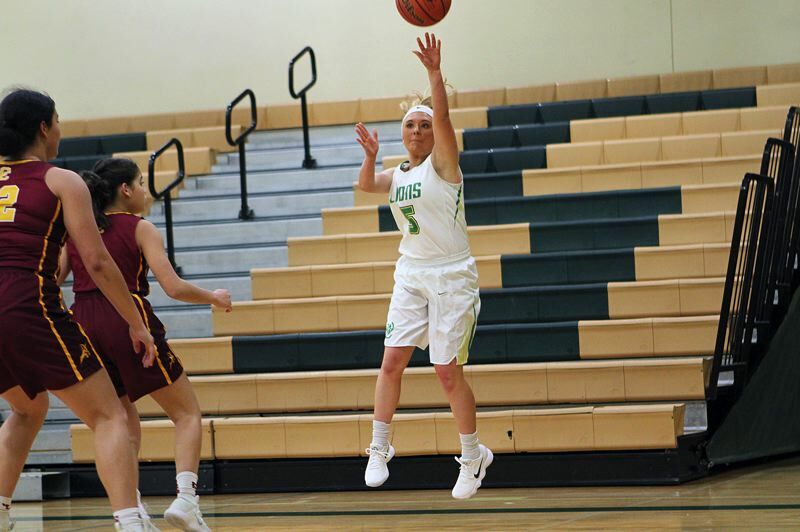 Rogue River at Coquille, 6:30 p.m.
Lowell at Central Linn, 5:30 p.m.
Gold Beach at Umpqua Valley Christian/Melrose Christian, 5:30 p.m.
East Linn Christian Acad. at Oakridge, 6 p.m.
Triad at Riddle, 6 p.m.
Griswold at Enterprise, 6 p.m.
Monroe at Kennedy, 3 p.m.
Weston-McEwen at King's Way Christian, Washington, 6 p.m.
Waldport at TBD, 6 p.m.
TBD at Canyonville Christian Acad., 6 p.m.
St. Paul at New Hope Christian, 6 p.m.
TBD at Columbia Christian, 7 p.m.
Alsea at McKenzie, 5:30 p.m.
Cove at Adrian, 5 p.m. Prospect Char. at Camas Valley, 5:30 p.m.
Willamette Valley Christian at Siletz Valley, 5:30 p.m.
North Clackamas Christian at Condon/Wheeler, 6 p.m.
Damascus Christian at Dufur, 6 p.m.
TBD at St. Stephens Acad., 6:30 p.m.
Harper Char. at TBD, 6 p.m.
Ione at Prairie City, 3 p.m.
Crosshill Christian at Days Creek, 3 p.m.
Hosanna Christian at Country Christian, 6 p.m.
North Douglas at Mohawk, 3 p.m.
Triangle Lake at Elkton, 6 p.m.
Mitchell/Spray at North Lake, 5 p.m.
Jordan Valley at Joseph, 3 p.m.
Crane at Nixyaawii, 6 p.m. Powers at Chiloquin, 3 p.m.
South Wasco County at Pacific, 6 p.m.
TBD at Huntington, 3 p.m.
Monument/Dayville at Wallowa, 6 p.m.
Jewell at Southwest Christian, 3 p.m.